For years, Blatt & Dauman, LLP has been providing quality, personalized financial guidance to local individuals and businesses. Blatt & Dauman, LLP's expertise ranges from basic tax management and accounting services to more in-depth services such as audits, financial statements, and financial planning. Our mission is to help clients maintain financial viability in the present while taking a proactive approach to achieve future goals. This requires open communication to reach an understanding of our clients' needs, thorough research, and sound analysis. Blatt & Dauman, LLP is dedicated to meeting these goals with high standards of excellence and professionalism. Abbey earned his undergraduate degree from Queens College of the City of New York in 1975. He began his career in public accounting in a small firm in 1964 and became a partner when he received his certification. 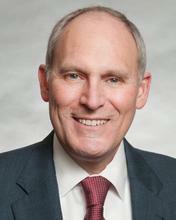 He has been a partner of Blatt & Dauman since its inception in 1983. Abbey's area of practice includes personal and corporate tax planning and financial statement reporting including compilations, reviews & certified audits of various corporate and not for profit entities. His clientele includes manufacturers, importers & exporters, professionals, construction, real estate (owners and developers), restaurants, and a specialty in the gasoline industry. He has an expertise in handling federal and state audits of gasoline and petroleum distributors. Abbey is a member of the American Institute of Certified Public Accountants and the New York State Society of Certified Public Accountants. Joel earned his undergraduate degree from Brooklyn College, CUNY in 1976 and his Masters of Business Administration from Hofstra University in 1979. He began his career in public accounting in the "big four" environment. Joel's area of practice includes the audits of employment benefit plans in compliance with ERISA requirements and he advises high net worth individuals and corporate accounts with tax and operational strategies. As an active member in his community, Joel serves as a director on the board of a number of not-for-profit charitable foundations. In addition, he served as a trustee and as the past president of the Board of Education in his school district for 15 years. He and his wife Jill have two sons, Chad Dauman Esq. and Ross Dauman CPA. Joel is a member of the American Institute of Certified Public Accountants and the New York State Society of Certified Public Accountants. Jamey earned his undergraduate degree from Hofstra University in 1995. He began his career as a controller for a bicycle maintenance product manufacturer and has been in public accounting since 1993. 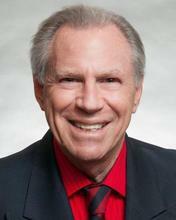 He has been a partner of Blatt & Dauman LLP since 2004. Jamey's area of practice includes gas station and franchise outlets, film and entertainment companies, construction companies, and professional practices. Jamey is a member of the American Institute of Certified Public Accountants and the New York State Society of Certified Public Accountants. Cyndi graduated with a bachelor's degree from SUNY Stony Brook and received her MBA in accounting and taxation from Hofstra University. 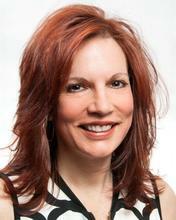 She has worked for Blatt & Dauman since 1994 and has been a Certified Public Accountant since 1999. 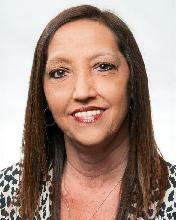 Cyndi has extensive knowledge of QuickBooks and small business accounting. Her area of practice also includes the preparation of personal, partnership, trust, and multistate tax returns. She specializes in estate and nonprofit work, 1031 exchanges and tax litigation issues. Cyndi is a member of both the American Institute of Certified Public Accountants and the New York State Society of Certified Public Accountants. Erin graduated with a Bachelor's Degree in Business Administration from Hofstra University's Frank G. Zarb School of Business with a major in accounting. She has worked for Blatt & Dauman since 2000 and has been a Certified Public Accountant since 2006. Her areas of practice include auditing, preparing individual, corporate, and partnership tax returns and financial statement preparation. Erin has extensive knowledge of QuickBooks and has assisted many clients with its implementation and use. Erin specializes in audits of Employee Benefit Plans, including 401(K), profit sharing and defined benefit and defined contribution pension plans. She is a member of the American Institute of Certified Public Accountants and the New York State Society Certified Public Accountants. Faith has worked for Blatt & Dauman since 1984. She started as an administrative assistant while she attended college and ultimately earned her Bachelor's Degree in Business Administration majoring in accounting from the State University of New York, College of Old Westbury in 1988. 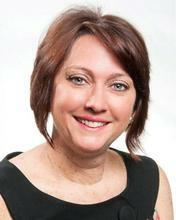 Her areas of practice include individual and small business tax reporting. Her knowledge of QuickBooks helps her clients manage their businesses from all aspects including but not limited to payroll, sales tax, and income tax. Her clientele range covers retailers, manufacturers, distributors, restaurants, construction, real estate, and personal service companies. Omar earned his undergraduate degree from Queens College of the City of New York in 1998. 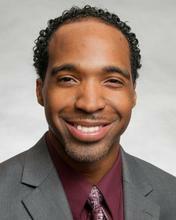 He worked in private industry for three years until he began his public accounting career at Blatt & Dauman in 2002. 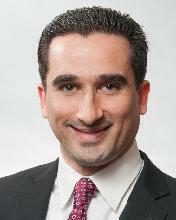 Omar's area of practice includes personal and corporate income tax, payroll, and sales tax management. His expertise in QuickBooks helps his clients set up and manage their businesses more efficiently. His wide range of clientele includes manufacturers, retailers, real estate entities, construction contractors, and a specialty in the restaurant and gasoline industries. Alysha graduated with a Bachelor’s Degree in Business Administration with a minor in Accounting from St. Joseph’s College in 2013. She worked in private industry for 6 years before joining the firm in 2014. 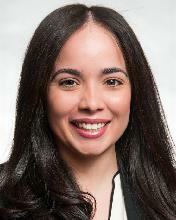 She is an integral member of the firm’s Employment Benefit Plan audit department. In addition, Alysha assists in the monthly postings, bank reconciliations, and maintenance of general ledgers for entities in the construction, service, and retail industries through her knowledge of QuickBooks. She also assists in quarterly and annual tax filings. Stephan graduated with honors from the University of Massachusetts, Amherst and received a Bachelor’s Degree in Business Administration. He has been a CFA charter holder since 2014 and is currently studying to become a Certified Public Accountant. He has worked at Blatt & Dauman since 2015. 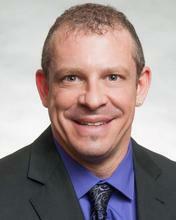 Stephan’s areas of practice include personal and corporate income tax returns, payroll, and sales tax management. His clients consist of businesses in a wide range of industries which include film and entertainment, professional practices, promotion and advertising, and retail and restaurants. His extensive knowledge of QuickBooks enables his clients to manage their businesses more efficiently. He is also knowledgeable in state and local tax issues regarding credits and incentives, sales tax exemptions, nexus studies and apportionment issues. He is currently an active member of the CFA Institute. 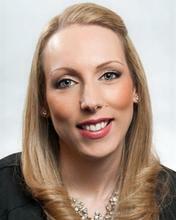 Eva joined the firm in 2008 as a bookkeeper and administrative assistant. Through her experience, she has gained extensive knowledge and manages the books and records of various corporate clients. Her duties include payroll processing, sales tax and payroll tax returns, as well as income tax filings. Her employee benefit plan auditing experience allows her to assist in vital audit functions such as systems testing and analysis. Eva’s responsibilities also include the setting up of new corporations and limited liability companies and obtaining dba’s and employer identification numbers for those entities.